Please refer to our stock # SL-PilCran10 when inquiring. 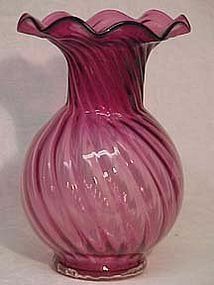 Pilgrim Cranberry 10" Swirled Vase is in mint condition. Produced in the late 1970's.